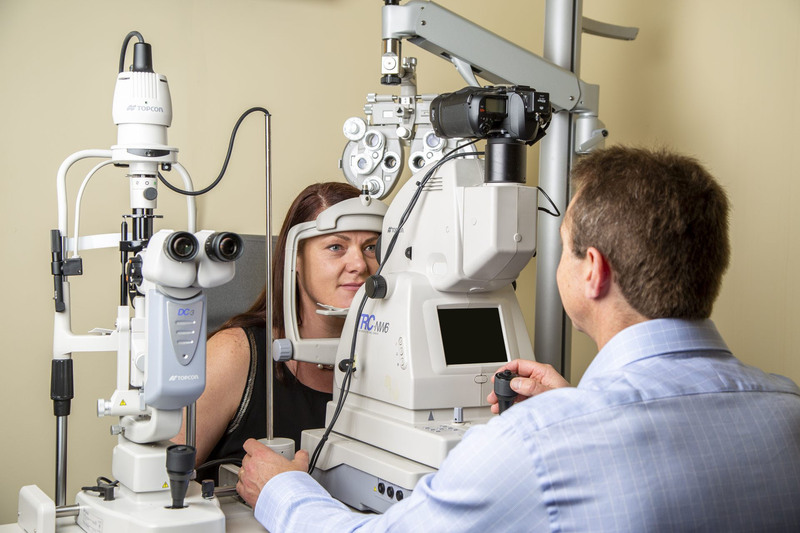 Our optometrists take great pride in providing comprehensive eye examinations utilising state-of-the-art equipment. Checking your vision to see if you require glasses or contact lenses is just part of a comprehensive eye examination. We also look for potential eye health problems, like glaucoma, macula degeneration and cataracts, as well as monitor the eye related complications of general health problems, like diabetes and high blood pressure. Regular eye tests ensure your eyes are healthy and that you are wearing spectacles most suited to your needs. Check-ups every two years are adequate for most people, but we recommend you visit more frequently if we find you have early signs of eye disease or if your family has a history of eye problems. With modern lens technology, we can now prescribe spectacles which provide clear comfortable vision for almost all daily activities. We take great care in prescribing the best lens for your individual needs. For example, if computer work occupies a large part of your day you may benefit from spectacles designed for specifically looking at a computer screen. Alternatively, if you have dynamic visual demands, you may require a pair of multifocal lenses. Our experienced and highly-skilled dispensing staff will discuss your options and determine the most appropriate lens option for your individual needs.